Unusual pretty light rose-pink tubular upward-pointing flowers on a dome-shaped bush flowering in May. 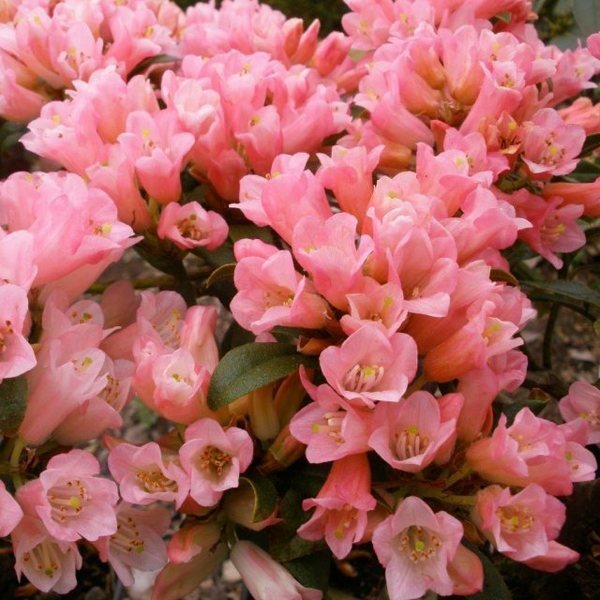 This is a very striking and free-flowering plant that is vigorous. It is relatively drought tolerant, so although it prefers moisture, it will tolerate being planted on drier soils or near to trees. Height 60-80cm in 10 years.